Like all cult television shows, Doctor Who has cultivated a strong collection of merchandise that goes beyond DVDs and television repeats. Fans of the show are able to pick up giftware, clothing, and books which relate to this quirky science fiction series, and cater to their unique (and, some might say obsessive, tastes). 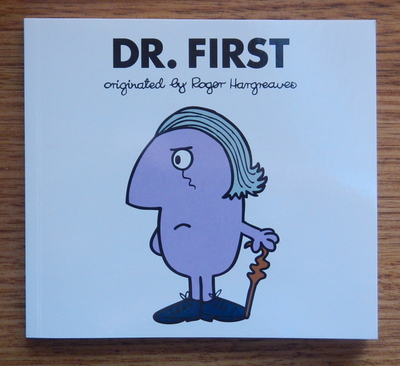 Now, in an epic mash-up of two beloved series, Doctor Who has been taken on by the popular childrens’ series originated by the late Roger Hargreaves- Mr. Men. 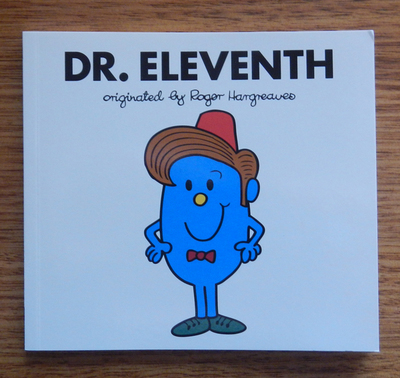 Written and illustrated by his son Adam Hargreaves, the first four books in the series have been released, which feature stories about Doctor’s One, Four, Eleven and Twelve. 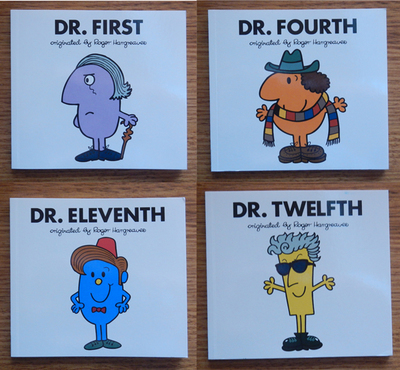 If you’re a fan of Doctor Who, or have children that you would like to introduce to the series, then these may be the books for you. 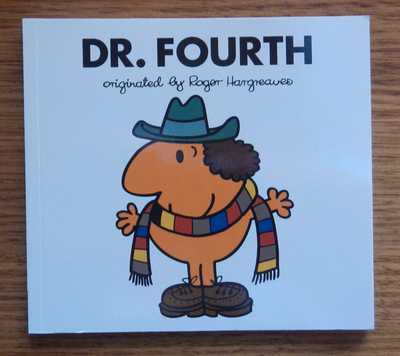 With his trademark fedora, curls and multi-coloured scarf, Dr. Fourth is on the run with Sarah Jane, hoping to draw the Daleks away from the planet they are currently occupying. Luck appears to be on their side as they climb ladders from dead ends, cross drawbridges with the help of jelly babies and pigeons, and find paint tins next to stop signs. But will they be able to escape the Daleks, including Dale with his malfunctioning energy ray? Dr. Eleventh and River Song have just had a very dangerous adventure and are now relaxing with a cup of tea, when the Doctor realises that he has forgotten something of vital importance. They can’t use the TARDIS to get it because he can’t remember where in time he left it, so they abandon their tea and head off on a second adventure to find the lost item. Along the way, they come across the same dangerous creatures as before- Zygons, Silurians, Weeping Angels, a pit of snakes and a giant spider. Will they find the Doctor’s missing item? And what could it be? 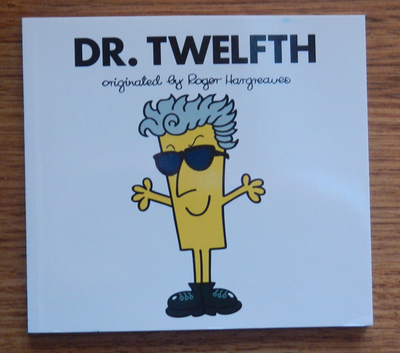 Dr. Twelfth is working solo in this one, chasing his oldest adversary Missy through time. In each place she goes, she steals some sort of precious jewel, and the Doctor is always just a little bit too late to catch her before she moves on to the next place in time. Hot on her heels, he follows her from Ancient Egypt to the Stone Age, and everywhere in between. What is she plotting? Will he be able to save the world before it’s too late? These sound terrific! I must get hold of them and share them with my daughter, who is a big Doctor Who fan.